"It's not cool to not know what you're talking about." "We are going to get disclosure this year," Steve Bassett recently told the British Express. 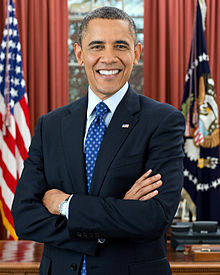 "I am not sure who will win the election, but I think Obama will be the disclosure president. "He will be looking at a Nobel Prize for making an announcement like that. I am 85 percent sure Obama will make the announcement before he leaves office and within days your Prime Minister David Cameron will follow." Knowing President Obama will end what Bassett terms the "truth embargo" is a simple exercise in logical deduction, according to Bassett, who also stated, "ET is real, we have gone beyond that." Similarly, self-described father of the disclosure movement Steven Greer announced that "the forces suppressing truth can no longer hold back the floodgates of disclosure." Greer is employing yet another crowdfunded film "that ends illegal UFO and Free Energy Technology secrecy once and for all." The fact such ventures continue to draw financial support could reasonably be considered a worthwhile target of attention in itself. Those on the email list of Bassett's Paradigm Research Group (PRG) are aware he has been announcing the hour is upon us and making pleas for cash donations several times per month for years. His highly questionable - and expensive - Citizen Hearing on Disclosure rarely receives mention any longer and in spite of the grand proclamations included in its marketing campaign. Supporters were solicited to help fund aspects of the mock hearing ranging from video production and postage for getting those videos to elected officials to meetings to be conducted with said officials. Now, however, Bassett seems to be on a publicity campaign through Europe, circumstances of which we are assured forge a path to imminent disclosure from the highest levels of global government. The White House can no longer contain the secret, he informed Express. Recent PRG emails included urgent pleas for funding. One could empathize if donors become concerned about vague suggestions of achievements lacking specific details and failures to account for unfulfilled goals. Greer marketing efforts, if nothing, are aggressive and bold. His assertion that his latest project will end secrecy once and for all comes on the heels of a crowdfunded film supporters hoped would do the same - but did not. And the same with his projects before that. He does seem to be faring better than Bassett at the bank, or at least it would appear so if PRG emails are indications. In contrast, Greer reported substantial percentages of revenue from the then-nonprofit Center for the Study of Extraterrestrial Intelligence (CSETI), translating to hundreds of thousands of dollars, paid to the Greer-owned Crossing Point Inc. CSETI subsequently surrendered its tax-exempt nonprofit status and declared itself a for-profit corporation in 2013. I seriously doubt the reality of an extraterrestrial presence. I am even more doubtful of official disclosure for reasons previously stated, which include detrimental implications to military and intelligence operations. I could be wrong. One reasonable question would be whether disclosure activists could ever accept they might be wrong, and what it would take to have them consider the possibility. Also welcome would be some accountability for their chronic failure to achieve stated goals. Tom DeLonge fronted the popular rock band Blink 182 before he apparently decided a rewarding career awaited him in the wide open field of deciphering fact from fiction in ufology cloak and daggers. He put the word out on the street that spooks willing to blow the UFO whistle have a friend in him. The amazing things DeLonge has now learned, he tells us, enable him to inform the masses there are "high level" groups within the Department of Defense aware of "crashes" and the discovery of a "life form." His contacts reportedly include "a high-level member of the Pentagon," prompting the Mirage Men Twitter account to suggest he's the new Paul Bennewitz. For those coming late to the party, don't worry, you haven't missed much, at least not as far as confirmation of stories about alleged aliens and their crashed spaceships go. There isn't any confirmation. However, you might have some catching up to do on how those tales have been garnished and served to previous generations. Paul Bennewitz became convinced during the 1980's he was uncovering an alien plot to invade the planet. His suspicions were further cultivated by Richard Doty of the Air Force Office of Special Investigations (AFOSI), as well as William Moore, a high profile ufology writer and researcher of the era. The circumstances, which included tales of alien underground bases and circulation of inauthentic documents, were thoroughly explored in Mirage Men by Mark Pilkington and associates, and Project Beta by Greg Bishop, among other sources. Many researchers now suspect AFOSI exploited Bennewitz's incorrect assumptions in order to minimize his credibility. That would have been so no one would pay any attention to matters of national security the man did happen to be stomping all over, however entirely unrelated to extraterrestrials the matters may have been. Moore dropped a quarter on the whole operation when he declared - during his keynote speech at the 1989 MUFON International Symposium, no less - that he had been conspiring with the intelligence community to feed disinformation to Bennewitz and the ufology faithful at large (see 1989 Nov. and Dec. editions of MUFON UFO Journal). Doty claims he was acting on official orders while gaslighting Bennewitz, who was eventually involuntarily admitted to a residential mental health facility. The matter of Air Force involvement continues to be debated. Alejandro Rojas conducted some solid FOIA work into the issue that was largely stonewalled, yet nonetheless made a worthy article. About the same time all that was happening with Doty, he also led researcher Linda Moulton Howe down the primrose path. He shared his brand of so-called official documents with her that made mention of aliens and their creation of humanity. 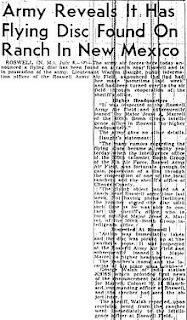 As the work of Rojas points out, the Air Force remains mum on whether Doty was carrying out orders or if any investigations were ever conducted into its personnel circulating fantastic stories and forged supporting docs around town. 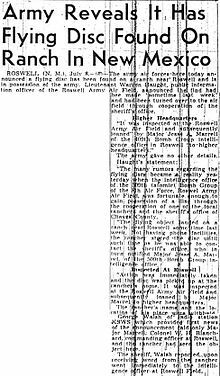 Meanwhile, a young airman named Simone Mendez got in a dust up with the same agency during the same era over the same topic, UFOs. She was stationed at Nellis AFB of Area 51 fame in 1981 when a coworker approached her with a likely forged classified doc about a dramatic UFO-related event. Mendez ended up grilled for months by AFOSI, which, as in the case of Bennewitz, Moulton Howe and Doty, seemed to practice some less than overt policies about who bears responsibility for possessing and distributing fake documents. The FBI got in on the interrogations as well, and Mendez later obtained files through the FOIA verifying some of the facts surrounding her ordeal (of which she was cleared of any wrongdoing). 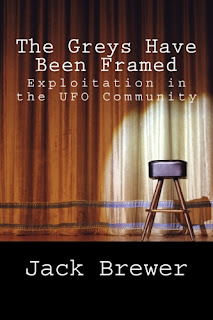 You can read details of the case in my book, The Greys Have Been Framed: Exploitation in the UFO Community, which has a full chapter dedicated to the circumstances. And worse still, DeLonge’s big “inside info” reveal is basically the deFacto mantra of the military-industrial elite and the perfect reason why we need to carry on spending $650 billion a year of public taxpayer money into the largely private accounts of the military-industrial complex. Hell, with full on disclosure (or even just disclosing to policy makers or hinting at it over and over) maybe they can even multiply that by a ten or hundred? He’s their poster boy (“Lockheed Martin are AWESOME”) and he’s reaching the masses via the mainstream in a way that most UFO disclosure campaigners could only have dreamt of. Here’s what Tom has to say about his work with these top-secret insiders. “There won’t be any disinformation in my project”. With all due respect Tom, how on Earth would you know? Last but not least, big thanks to Amy Martin of Amy on the Radio for recently having me on her new show. She has a significant presence in the Fortean community from such ventures as conducting The Haunted Skeptic Podcast and hosting Dark Matter Network News on Midnight in the Desert with Art Bell and Heather Wade. Amy describes her latest show as "one of variety, with large focus on interesting topics of scientific and skeptical inquiry." I'm honored to have been the guest on the initial broadcast, Thursday, May 5, in which her listeners and Twitter followers were hospitable, well-informed and all around great. We discussed topics as explored above, along with much more. If you missed it and want to check it out, you can subscribe like I did for just five bucks a month. Amy on the Radio airs live Mon. through Fri., 9 pm to midnight ET, on Deep Talk Radio Network, and you can get all the info at amyontheradio.com. Join the Twitter convo at #AmyTalk. I wish Amy and her supporters much success in producing many episodes of interesting, entertaining and - now, in the age of social media, interactive - paranormal radio. Because the risks of distortion vastly outweigh the chances of obtaining any useful information, forensic investigators and clinical practitioners should avoid hypnosis as a technique for enhancing recollection. The American Psychological Association (APA) website informs us that “hypnosis is a therapeutic technique in which clinicians make suggestions to individuals who have undergone a procedure designed to relax them and focus their minds.”2 It is further explained that the activity is controversial yet accepted by most clinicians as a powerful and therapeutic treatment for a wide variety of conditions, including pain, bad habits and more. The APA reports that reaching a decision to use hypnosis should only be made in consultation with a qualified health care provider trained in the use and limitations of clinical hypnosis.3 Please note that the organization does not describe hypnosis as something recommended for amateur practice, does not claim it to be a reliable aid for retrieving suppressed memories and therefore obviously does not endorse its use as an investigative tool for writers seeking fantastic stories of alien abduction. As a matter of fact, hypnosis and the induction of nonordinary states of consciousness are typically viewed entirely differently among mental health professionals than members of the UFO community. Regressive hypnosis is but a single and increasingly obscure aspect of the overall hypnosis topic, albeit probably the first to come to mind among many UFO enthusiasts when the subject arises. Non-ordinary states of consciousness are induced during many types of therapeutic activities, such as Eye Movement Desensitization and Reprocessing, or EMDR, which may be employed during the treatment of emotional trauma, for example. Such procedures are most certainly not intended for the resulting mental imagery to be definitively accepted as representations of objective reality. Quoted in a 2011 article, Hypnosis today, published by the APA, psychologist Dr. Michael Yapko stated that people do not really understand the suggestibility of memory.4 A fellow of the American Society of Clinical Hypnosis, Yapko described how hypnosis took a public relations hit in the 1990's. Therapists unwisely used hypnotic regression to supposedly assist their patients in uncovering suppressed memories of childhood abuse, resulting in hundreds of court cases consisting of false accusations made against innocent people. Yapko added that the entire regressive hypnosis issue subsequently fell by the wayside due to advances in research. Dr. Joseph P. Green was quoted in the same APA article. A psychology professor at Ohio State University at Lima, Green's research demonstrated that hypnotic suggestions produced false and distorted memories. Adding to the mounting problems for proponents of hypnotic regression, which include many researchers of alleged alien abduction, Green found that hypnosis subjects had tendencies to incorrectly believe their hypnotically induced (and conclusively false) memories were even more reliable than those consciously recalled. Subjects argued the validity of the hypnotically induced memories even after they were informed of their inaccuracy. Such circumstances led Green to explain that hypnosis as a memory retrieval technique was “on thin ice,” regardless of the lingering and completely mistaken cultural belief that it acted as a truth serum. If you're wondering why no one told the UFO community, they did. Lots of times. The pro-hypnotic regression segment of the community just refused to listen, which included leaders of nonprofit corporations questionably claiming to be committed to scientific investigation. In spite of such claims, many UFO-related organizations chronically provide venues for presenters who practice regressive hypnosis and promote the resulting fantastic stories as credible interpretations of reality. “The AMA objects to the use of its name in connection with hypnosis,” the notice further clarified. incorrect and relatively actual memories tend to be embellished over time, and resulting perceptions, accurate or not, influence future behavior. Loftus could identify no cogent scientific support indicating that forgotten experiences or suppressed memories could consistently be recalled through the use of special techniques, or that such techniques provided reliable results.8 What's more, she found there is ample reason to believe that suggestive and prolonged searches for hidden memories could be harmful. In early 2015, Loftus and colleagues published results of their first of its kind research on connections between sleep deprivation and susceptibility to false memories, which they reported could have “dire consequences.”9 The implications were significant to the use of sleep deprivation as a technique to enhance interrogation of prisoners and incarcerated individuals. More on false memories and people being affected, or led, by the ways questions are constructed and posed was reported in 2015 by the Association for Psychological Science.10 Research subjects at the University of Bedfordshire were convinced within a few hours they had committed crimes that actually never happened. A study found that confessions to crimes can be surprisingly easy to generate and that the resulting false memories can have the same kinds of complex details as real memories. All participants needed to generate a richly detailed false memory, psychologist and lead researcher Dr. Julia Shaw explained, was three hours in a friendly interview environment, the introduction of a few wrong details and the use of some poor memory retrieval techniques. Bells should be ringing with those familiar with investigative techniques practiced by ufology hypnotists. Bedfordshire researchers were surprised to discover the extents subjects were influenced when provided with accurate information accompanied by inaccurate information, and then encouraged to fill in more detail. False recollections were readily generated to the point of participants reenacting crimes they never committed. Further considerations were provided by researchers at Macquarie University. They conducted a project in which hypnosis was used to temporarily create delusional beliefs in otherwise non-delusional people. Science Daily reported on the project in its 2008 article, Hypnosis: The Key to Unlocking the Delusional Mind?.11 The study was fascinating and might very well be contemplated in the context of problems with subjecting alleged alien abductees to hypnotic regression. Hypnosis was used to study delusions because they share so many characteristics, researchers explained. Both involve distortions in reality, for instance, and in both cases the distortions tend to be believed with conviction by those who experience them. To what extent? Some participants became unable to recognize their own reflections in a mirror. In order for researchers to learn more about a condition known as mirrored-self misidentification, subjects were given hypnotic suggestions to see strangers in the mirror. The suggestions worked. 11 Science Daily: Hypnosis: The Key to Unlocking the Delusional Mind?